Silk Moths mate with their bodies together and they take a few hours and even a day and they flap their wings when they want to mate. It looks good when the silk moths come out of their cocoons. 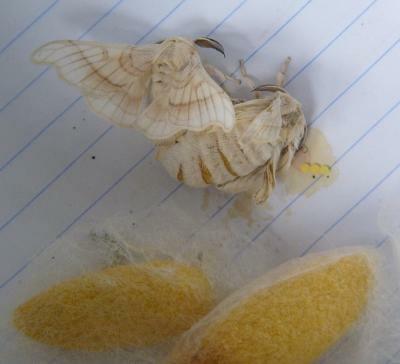 After they have mated the female lays eggs and after that they die and in the egg there is a baby silk worm.